This course is for anyone interested in sustainable ways of living, a healthy lifestyle, growing food, organics, and designing solutions. An Introduction To Permaculture course covers key ethics and principles of permaculture and outlines basic permaculture design techniques such as zoning, site analysis, and climatic factors. You will leave looking at your house, garden, farm and the landscape differently. The learning style is collaborative and participatory. 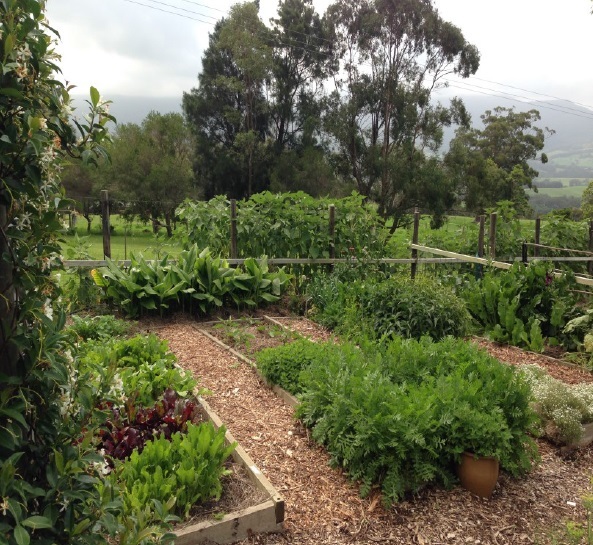 Permaculture techniques started in Australia in the 1970’s and are now used all over the world. The design system was created by bringing together knowledge from many different areas such as agriculture, renewable energy and indigenous knowledge systems. Biological farming techniques and vast gardens overlay the original Bill Mollison directed design at Jamberoo Valley Farm. This course will give you tools to enable you to live a more simple, healthy and sustainable life. BE INSPIRED!